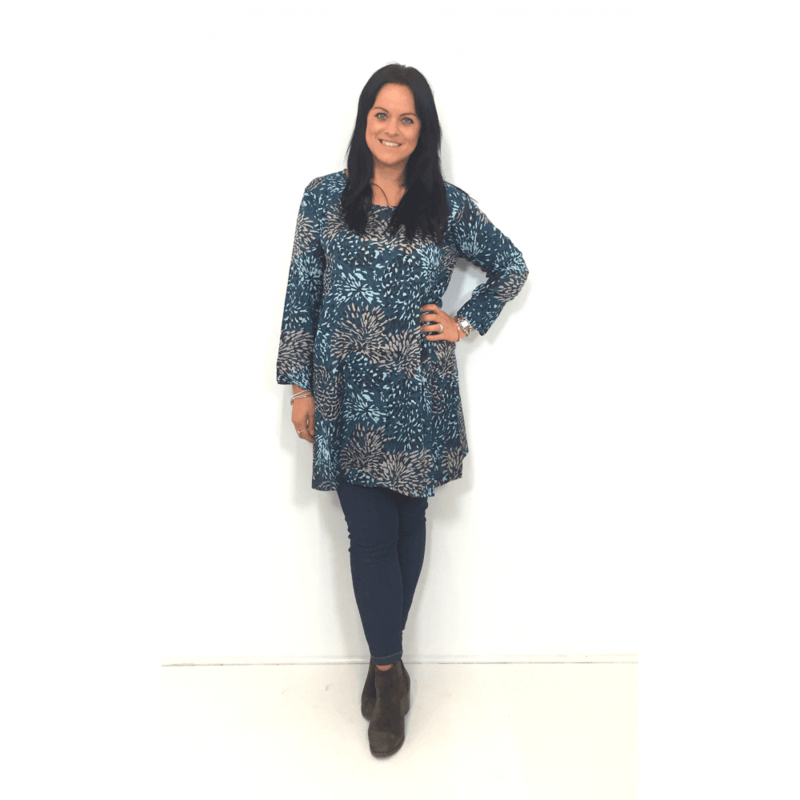 Stand out from the crowd with this gorgeous blue patterned print tunic top made of slightly crinkled viscose. This lovely a-shape tunic top falls beautifully loosely over the body. Great for elegant everyday wear!